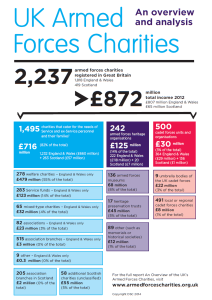 An in-depth analysis of the armed forces charities sector. Armed forces personnel, their dependents and their service to this country have seldom been the subject of such high levels of political, public and media interest. In this report, Ana Pozo and Dr Catherine Walker aim to address some of the myths and misconceptions. 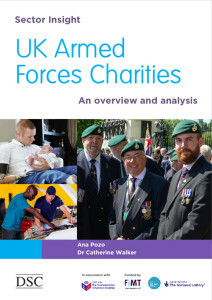 This comprehensive insight into armed forces charities in the UK includes: an overview of their objects and activities; in-depth analysis of their finances; a detailed look at their service provision and grant making; geographical comparison of specialist support needs and provision; examination of the current health and future challenges for the sector.